The FBI is publicly rejecting a right-wing report that was amplified by President Trump, essentially calling it fake news. The right-leaning news site The Daily Caller reported on Monday that China hacked Hillary Clinton’s private email server and obtained thousands of emails while she was secretary of state. Trump retweeted the story, saying “Report just out: ‘China hacked Hillary Clinton’s private Email Server.’ Are they sure it wasn’t Russia (just kidding!)? What are the odds that the FBI and DOJ are right on top of this? Actually, a very big story. Much classified information!” the president tweeted. The spokesman pointed to an inspector general’s report that quoted a forensic analyst telling the Justice Department that he was “fairly confident” Clinton’s server had not been comprised. FBI Says Homegrown Extremists Are ‘Primary Terrorist Threat’ to U.S.
Posted: August 30th, 2018 under News Story. 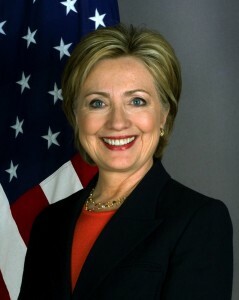 Democratic presidential candidate Hillary Clinton. Key congressional Republicans reviewing the FBI’s handling of the Hillary Clinton email server said they found evidence that the bureau’s top officials protected the former secretary of state from criminal charges. Those Republicans say they have received written evidence and other information that reveal some FBI investigators believed Clinton broke some laws when she and her top aides used an insecure private email server to transmit classified information, the Hill reports. During a closed-door briefing on Dec. 21, FBI Deputy Director Andrew McCabe told the House Judiciary Committee that he discovered the investigation and the decision on whether to file charges belonged to a small group in Washington D.C.’s headquarters, not the field office leaders who typically handle the outcome of federal probes. Among the evidence are FBI documents that indicate the voluminous amounts of classified information that was passed through Clinton’s insecure server amount to crime. Investigators also said a key witness admitted making false statements, which is a crime identical to the ones filed against some of Trump’s former campaign officials. Some committee Republicans said the new discoveries suggest the top levels of the FBI protected Clinton from prosecution. Posted: January 3rd, 2018 under News Story. 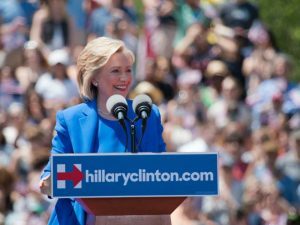 A federal judge for the second time has dismissed a pair of lawsuits that would have required the State Department and FBI to do more to track down former Secretary of State Hillary Clinton’s emails. U.S. District Judge James E. Boasberg ruled the FBI has done all it reasonably can to recover Clinton’s emails, the Washington Times reports. 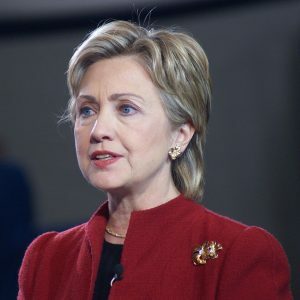 The lawsuit, which was filed in 2015 by two watchdogs, Judicial Watch and Cause of Action, demanded a more thorough effort to recover all of Clinton’s emails, claiming she violated open-records laws by failing to retain her messages. “Those efforts went well beyond the mine-run search for missing federal records … and were largely successful, save for some emails sent during a two-month stretch. Even then, the FBI pursued every imaginable avenue to recover the missing emails,” wrote Judge Boasberg, an Obama appointee to the court. Posted: November 10th, 2017 under News Story. 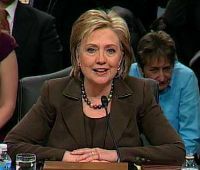 The FBI originally characterized Hillary Clinton as “grossly negligent” for her handling of classified information, according to an early draft by then-FBI Director James Comey. The language, which may have been strong enough to warrant charges, was softened to indicate Clinton had been “extremely careless” when Comey announced in July 2016 that no criminal charges would be filed against Clinton, The Hill reports. Federal law makes it a crime to handle classified material with gross negligence. Neither the FBI nor Clinton responded to questions for comments. The memos were disclosed to the Senate Judiciary Committee, which is investigating Comey’s handling of the Clinton investigation. “There is evidence to support a conclusion that Secretary Clinton, and others, used the email server in a manner that was grossly negligent with respect to the handling of classified information,” reads the statement, one of Comey’s earliest drafts from May 2, 2016. Now the committee wants to know who made the changes and why. “Apparently, as of May 2016, then-Director Comey and other FBI officials believed the facts fit that gross negligence standard until later edits were made,” Chairman Chuck Grassley (R-Iowa) wrote to Wray in the letter demanding more information. Posted: November 7th, 2017 under News Story. 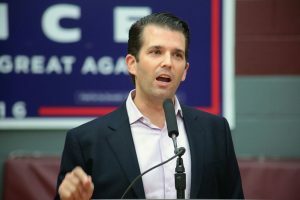 Following the explosive report that Donald Trump Jr. met with a Kremlin-backed attorney for compromising information on Hillary Clinton, the president’s eldest son released damning emails that show he was tickled to get information that could harm the Democratic presidential candidate. Emin (Agalarov, a real estate tycoon and Russian pop star represented by Goldstone) just called and asked me to contact you with something very interesting. The Crown prosecutor of Russia met with his father Aras (a Moscow-based developer with close ties to Putin) this morning and in their meeting offered to provide the Trump campaign with some official documents and information that would incriminate Hillary [Clinton] and her dealings with Russia and would be very useful to your father. This is obviously very high level and sensitive information but is part of Russia and its government’s support for Mr Trump – helped along by Aras and Emin. I can also send this info to your father via Rhona [presumably Rhona Graff, Trump’s longtime executive assistant], but it is ultra sensitive so wanted to send to you first. Thanks Rob I appreciate that. I am on the road at the moment but perhaps I just speak to Emin first. Seems we have some time and if it’s what you say I love it especially later in the summer. Could we do a call first thing next week when I am back? Let me know when you are free to talk with Emin by phone about this Hillary info – you had mentioned early this week so wanted to try to schedule a time and day. Best to you and your family. Let me track him down in Moscow. What number he could call? He’s on stage in Moscow but should be off within 20 minutes so I am sure can call. Hope all is well. Emin asked that I schedule a meeting with you and the Russian government attorney who is flying over from Moscow for this Thursday. I believe you are aware of the meeting – and so wondered if 3pm or later on Thursday works for you? I assume it would be at your office. Perfect … I won’t sit in on the meeting, but will bring them at 3pm and introduce you etc. I will send the names of the two people meeting with you for security when I have them later today. Great. It will likely be Paul Manafort (campaign boss) my brother in law [Jared Kushner] and me. 725 Fifth Ave 25th floor. Good morning. Would it be possible to move tomorrow meeting to 4pm as the Russian attorney is in court until 3 I was just informed. Yes Rob I could do that unless they wanted to do 3 today instead … just let me know and I’ll lock it in either way. They can’t do today as she hasn’t landed from Moscow. 4pm is great tomorrow. Posted: July 12th, 2017 under News Story. Federal prosecutors investigating Hillary Clinton’s email server issued grand jury subpoenas in the case, according to a court filing this week, Politico reports. It previously wasn’t known that the FBI had sought grand jury subpoenas, which indicates authorities were investigating a crime. 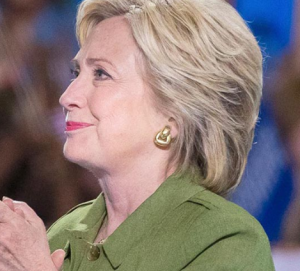 The subpoenas were used in an unsuccessful attempt to obtain achieved copies of some of Clinton’s old email messages, according to a filing in a civil lawsuit. “The FBI…obtained grand jury subpoenas related to the Blackberry e-mail accounts, which produced no responsive materials, as the requested data was outside the retention time utilized by those providers,” FBI Assistant Director for the Counterintelligence Division E.W. Priestap wrote in a declaration filed Monday in federal court in Washington. Details of the subpoenas were unclear, but it appears AT&T and Cingular were targeted. While most investigative work in the probe was done via voluntary interviews and provision of evidence, prosecutors and the FBI eventually turned to mandatory process again when the investigation was reactivated weeks before the presidential election. A search warrant was obtained in late October to review copies of additional email messages discovered on a laptop seized from former Rep. Anthony Weiner (D-N.Y.), the estranged husband of top Clinton aide Huma Abedin. The warrant required the FBI to indicate probable cause that the laptop contained evidence of a crime or some sort of contraband. Priestap’s declaration was filed in connection with lawsuits conservative watchdog groups Judicial Watch and Cause of Action Institute filed against former Secretary of State John Kerry and Archivist of the U.S. David Ferriero in an effort to force the government to take additional steps to try to recover Clinton’s work-related messages. Tens of thousands of those messages have been retrieved and have already been made public by the State Department. The government’s new court filing, including Priestap’s statement, sought to establish that there is nothing practical officials can do at this point to try to recover more of Clinton’s messages. However, Judicial Watch president Tom Fitton said he’s puzzled that the FBI revealed the grand jury action at this juncture. Posted: May 2nd, 2017 under News Story. The FBI and five other law enforcement and intelligence agencies have been investigating whether Russia secretly provided money to help President-elect Donald Trump win the November election. Two sources familiar with the matter told McClatchy that investigators are trying to determine how money may have been moved from Russia to help Trump. Included in the investigation is whether some email hackers in the U.S. were covertly paid by the Kremlin. Among those investigating are the FBI, CIA, NSA, Justice Department, the Treasury Department’s Financial Crimes Enforcement Network and the director of national intelligence. 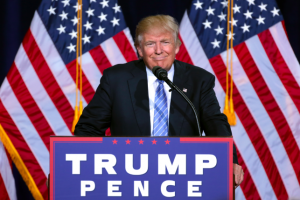 The agencies are investigating a few Americans “who were affiliated with Trump’s campaign or his business empire an of multiple individuals from Russia and other former Soviet nations who had similar connections,” sources told McClatchy. Posted: January 19th, 2017 under News Story. The FBI had no evidence of wrongdoing when the bureau asked a judge for a warrant to search a computer that contained correspondence between Hillary Clinton and top aide Huma Abedin. The newly released documents shed more light on the FBI’s revelation that it was resuming the Clinton investigation less than two weeks before the election, the Washington Post reports. The search warrant was for a computer that belonged to former congressman Anthony Weiner, who is Abedin’s estranged husband. Looking at just the header information of emails, agents found on Weiner’s device thousands of Abedin emails, including what seemed to be “regular” correspondence with Clinton and some messages that appeared to have been sent while Clinton was secretary of state. Based on that — and because Clinton and Abedin were previously on email chains in which classified information was discussed — they argued to a judge there was probable cause for their search. They had not at the time reviewed the content of any Abedin emails, according to the documents unsealed Tuesday. Posted: December 21st, 2016 under News Story.